Read on for the best breakfast ever. There’s something about fall mornings that makes me crave warm, cozy meals that heat up the kitchen and float magical smells all throughout my apartment. 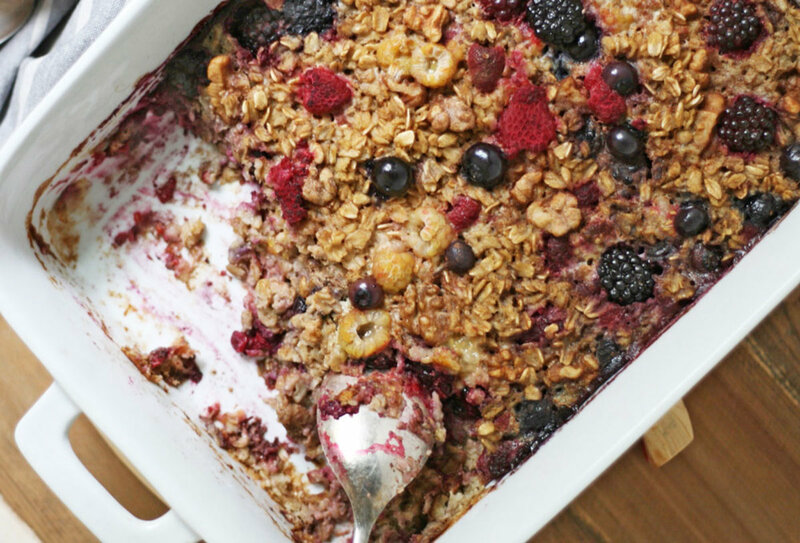 With a variety of berries, warming spices, maple syrup, crunchy walnuts, and a bit of love, this gluten-free baked oatmeal recipe will become your new favorite way to warm up autumn. 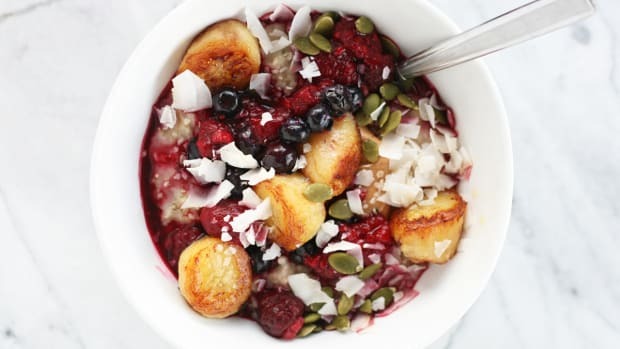 If you’ve been stashing away berries in your freezer all summer long, then this oatmeal recipe will not only empty out much needed freezer space, but also make you incredibly happy for your squirrel-like tendencies. 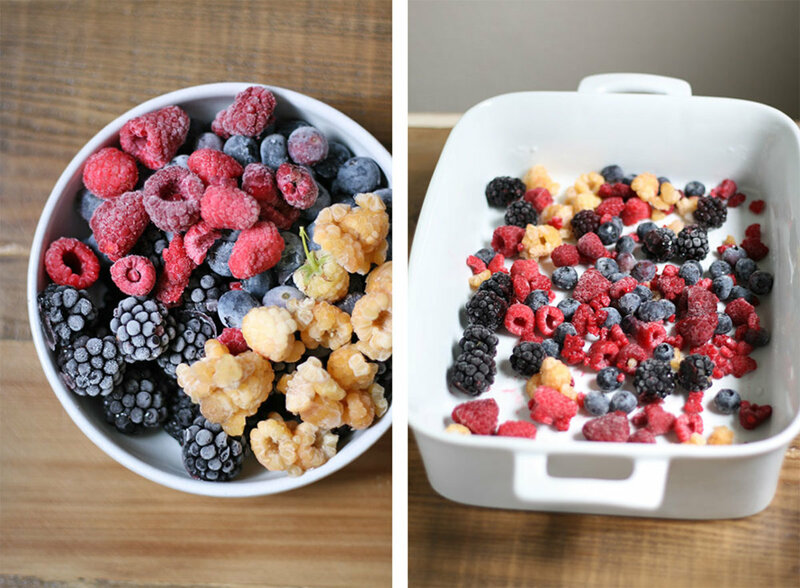 You can use a variety of berries in this recipe, and either fresh or frozen berries work well. 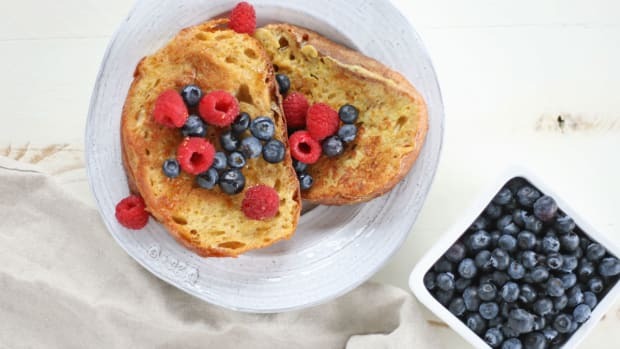 Some of my favorite berries for this recipe include marionberries, blackberries, yellow and red raspberries, blueberries, cranberries, currants, and boysenberries. In fact, the more berries the better, and the more antioxidant-packed your morning oatmeal will be. 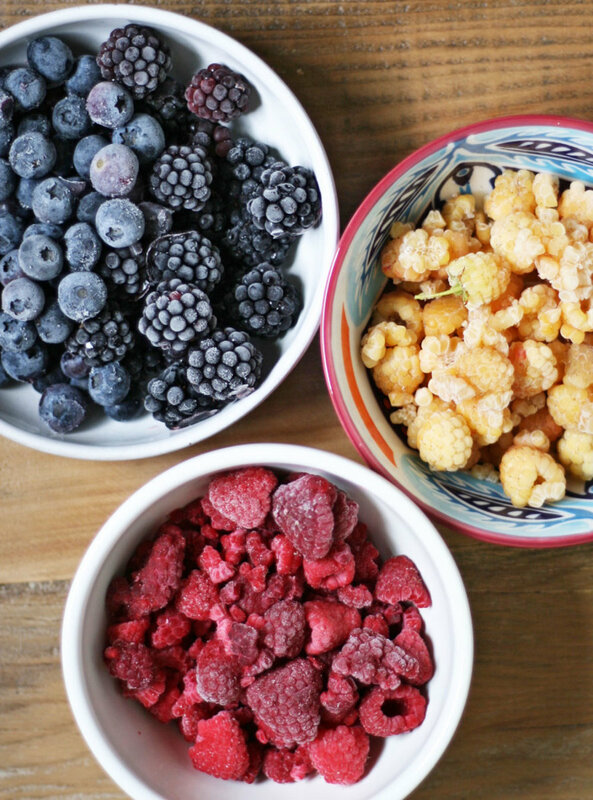 Berries are tiny little superfoods. They are low-glycemic fruits, which means they won’t spike your blood sugar. The World’s Healthiest Foods notes that diets rich in low-glycemic foods are associated with decreased risk of heart disease, type 2 diabetes, metabolic syndrome, stroke, depression, chronic kidney disease, gallstone formation, neural tube defects, formation of uterine fibroids, and cancers of the breast, colon, prostate, and pancreas. Berries are filled with a variety of antioxidant bioactive compounds, mainly phenolic compounds (phenolic acids, flavonoids, such as anthocyanins and flavonols, and tannins) and ascorbic acid. These plant powered compounds, either individually or combined, are noted to be responsible for the various health benefits of berries, such as prevention of inflammatory disorders and heart disease, or protection against the risk of certain cancers. Of course, organic berries are where its at. Not only are organic berries higher in antioxidants, but they’re also more friendly for the earth. Unlike conventional berries, organic ones are not are sprayed with environmentally damaging pesticides, herbicides, and harmful chemicals. Are organic berries really worth the higher price tag? As a nutritionist, I say a million times yes. Here’s a little tip: if the fruit has a soft skin or exterior (berries, peaches, apples, tomatoes, cucumbers, etc.) – go organic. If the fruit or veg has a hardened exterior or hefty skin (avocado, pineapple, mango, kiwi, etc. ), you can purchase conventional. 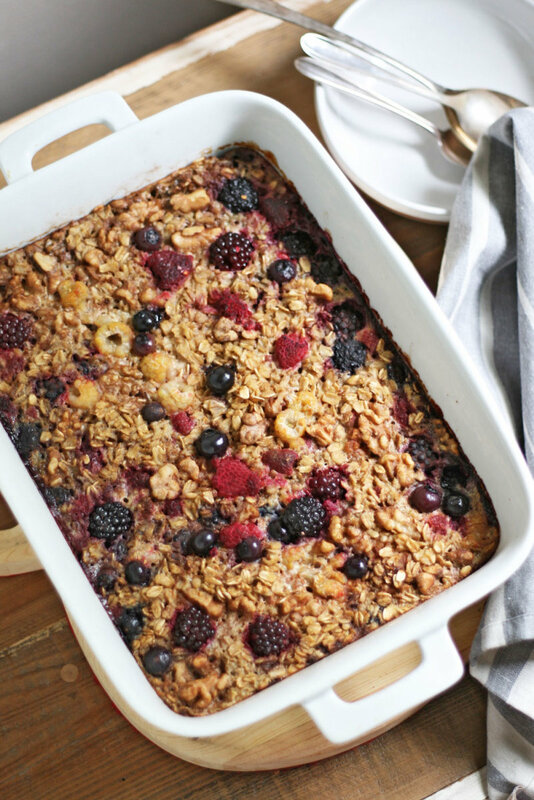 Along with being filled with antioxidant rich berries, this baked oatmeal recipe also packs in omega-3 and monounsaturated fatty acid filled walnuts for heart health support, rolled oats for a dose of complex carbohydrate fiber, warming spices such as cinnamon that help stabilize blood sugars, almond milk, organic eggs, and sweet maple syrup. You’re going to love just how deliciously simple this baked oatmeal is, plus how amazing your kitchen will smell. Happy fall! 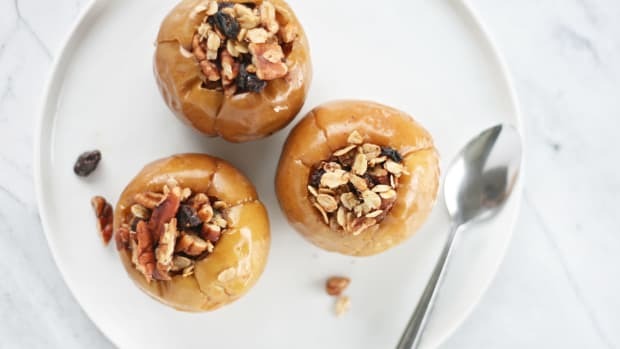 This baked oatmeal recipe also packs in omega-3 and monounsaturated fatty acid filled walnuts for heart health support, rolled oats for a dose of complex carbohydrate fiber, and warming spices such as cinnamon that help stabilize blood sugars. Gluten-Free: If you are sensitive or allergic to gluten, make sure to purchase certified gluten-free oats. Oats are naturally gluten-free, but are often processed in a plant that also handles gluten. To be on the safe side, purchase gluten-free rolled oats for peace of mind. 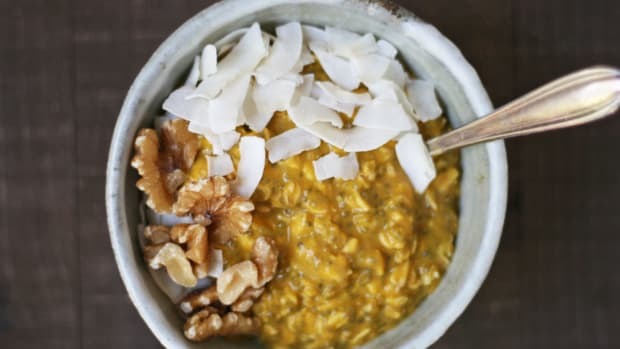 Vegan: Make this baked oatmeal recipe vegan by simply using plant milk, such as almond or coconut, and swapping the eggs for flax or chia eggs. Not feeling as sweet? 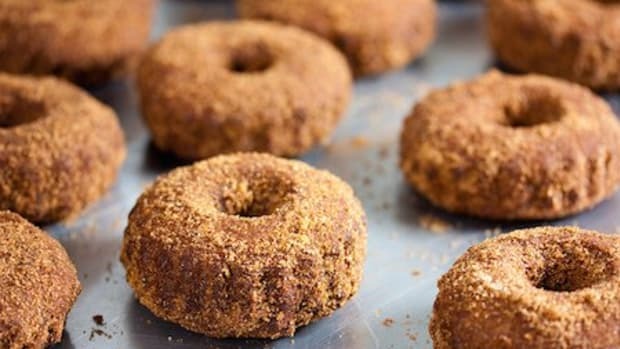 The maple syrup in this recipe is completely optional. Scale back to ¼ cup or omit completely if watching your sugar intake. Feel free to also swap maple syrup with honey. Preheat oven to 375 degrees Fahrenheit. 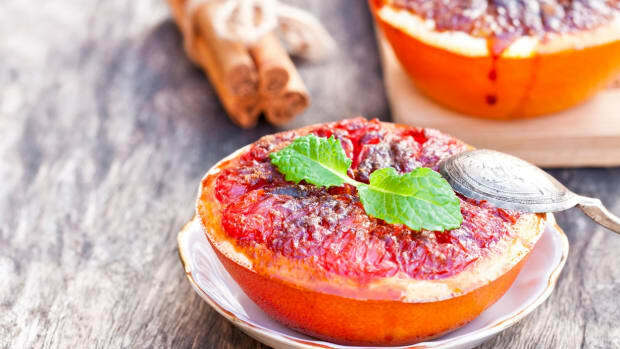 Grease a 9-inch baking dish with one tablespoon of the melted coconut oil. In a medium sized bowl, combine the oats, spices, baking powder, nuts, and salt. Stir to combine. 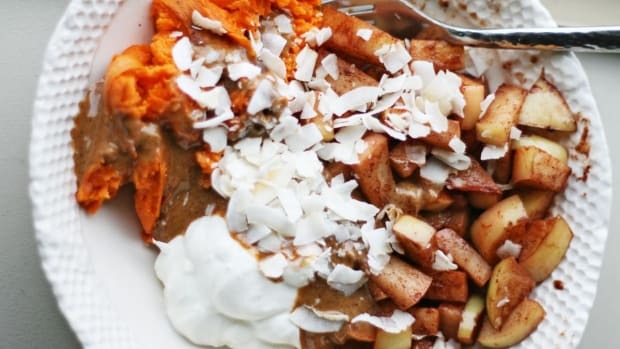 In a separate bowl, combine the milk, maple syrup, eggs, remaining coconut oil, and vanilla. Whisk until blended. 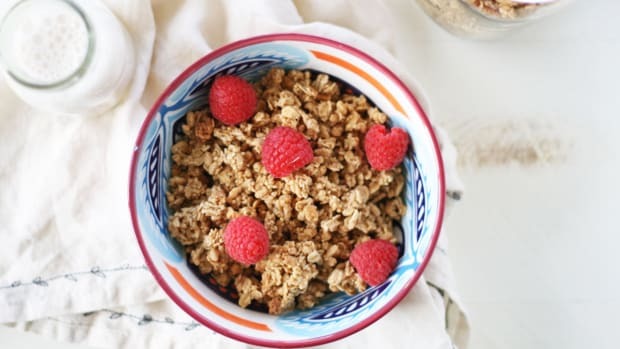 Reserve about ½ cup of the berries for topping the baked oatmeal, then arrange the remaining berries evenly over the bottom of the baking dish (no need to defrost frozen fruit first). Cover the berries with the dry oat mixture and pour the wet ingredients over the oats, making sure the milk soaks through the bottom of the oats. 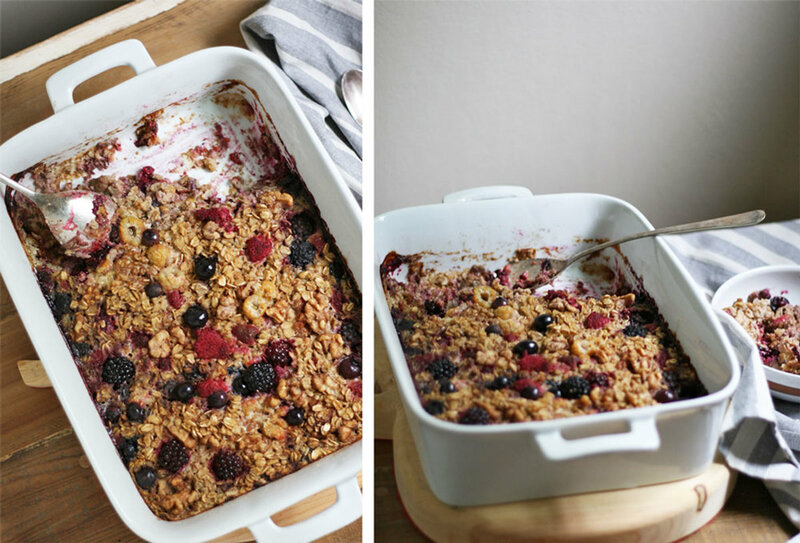 Scatter the remaining ½ cup of berries across the top and gently pat down into oats. Bake for 40 to 45 minutes, until the top is nice and golden. Remove your baked oatmeal from the oven and let it cool for a few minutes before serving warm. Enjoy!